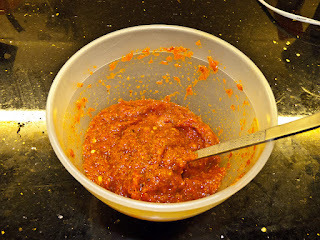 Although you can buy jars of harissa paste in most good supermarkets, it is so worth making your own, as the taste is far superior, and you know exactly what goes in it. I would wholeheartedly recommend wearing gloves while you do this. 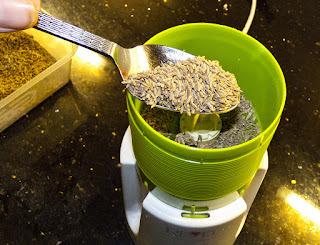 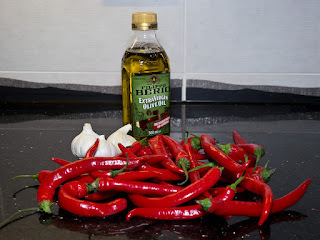 Take a few chillies, garlic, salt, cumin seeds and olive oil. 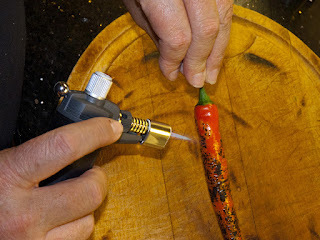 Char the skin of the chillies, using a naked flame such as cook's blow torch or a gas flame; or you can grill them on a very high heat. 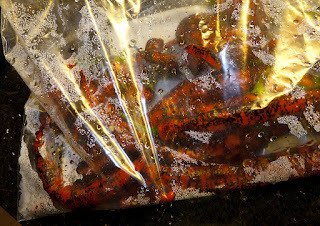 Place the charred chillies in a plastic bag as you go along, trying to keep as much air out of it as possible. 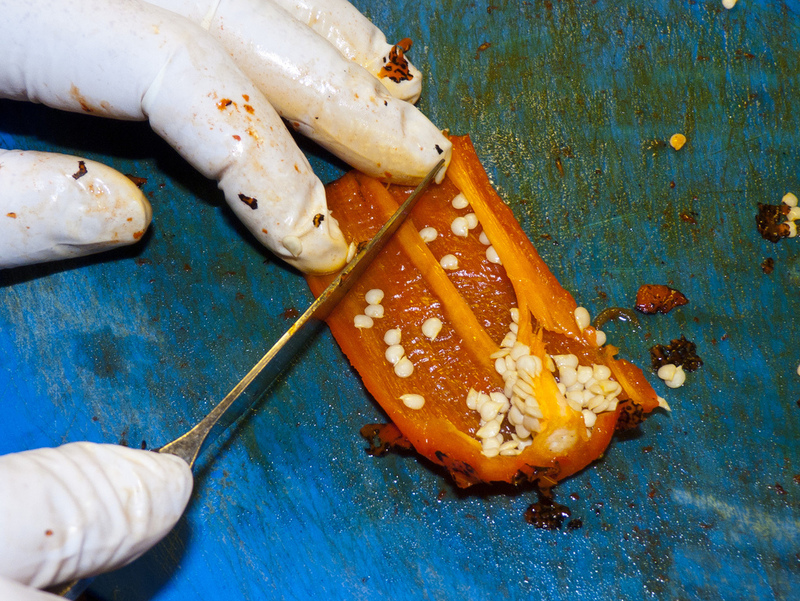 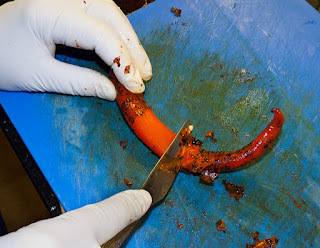 Scrape the skin off the chillies. 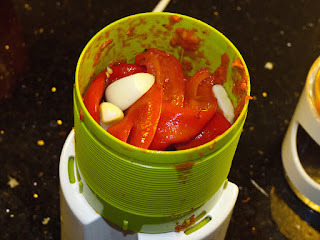 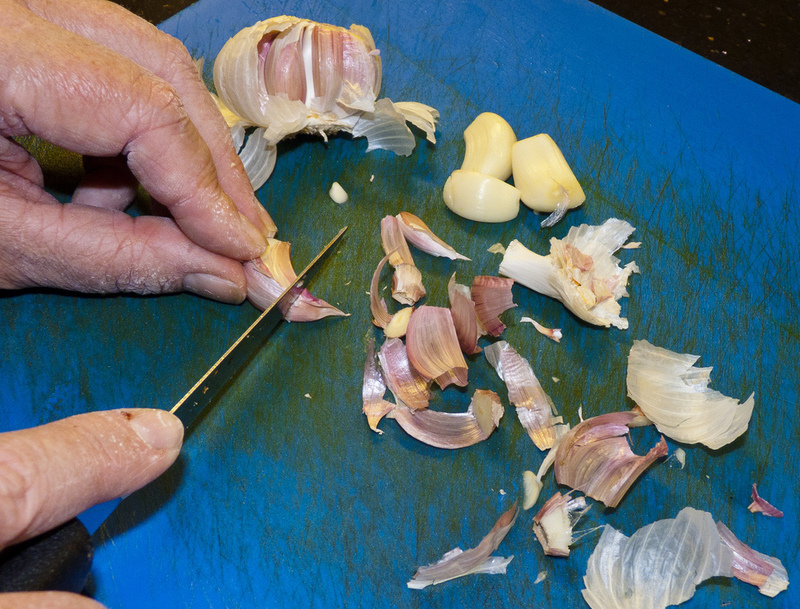 Whizz the garlic and chillies together to form a paste. Mix the chilli and garlic paste with some olive oil, the ground cumin and a little salt. Will keep for a very long time in a crew top jar in the fridge. Use sparingly, as it is hot.